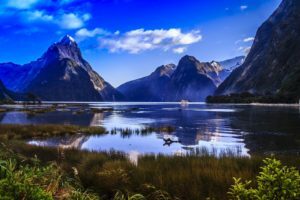 Mountains, forest, lakes, volcanoes, beaches… New Zealand’s landscape is so diverse that it is the perfect place for filming locations. New Zealand’s capital city, Wellington, is also home to the digital, animation and prop company Weta. Weta Digital and Weta Studios is behind the special effects, costume and props in some of the biggest movies. You can tour their workshop in Wellington, so be sure to pay them a visit. The Lord of the Rings Trilogy (you may have heard that this movie was shot in New Zealand). The Hobbit Trilogy (and that one).